iKOR Labs, a leading provider of full-spectrum hemp extract products, has today announced a new partnership with athlete storytelling site InnerVoice. iKOR’s growing stable of sponsored athletes includes the likes of triathlete Craig Alexander, cyclist Leah Thorvilson, and runner Latoya Shauntay Snell. 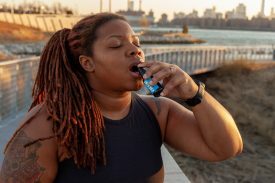 “My goal is to share stories of athletes and everyday people who benefit from the use of a CBD supplement,” said iKOR’s vice president of marketing, Jon Robichaud. “InnerVoice has a proven storytelling background and is born from athletes who wanted to tell the other side of what the everyday fan sees or knows about,” he added. InnerVoice co-founder Travis McKenzie says that partnering with the iKOR brand makes a lot of sense, especially with iKOR athletes Tim Don, Justin Cogley and Chris Leiferman having already shared their stories using the popular site. “We want to work with brands who bring true value to our audience and the broader endurance sports community, and with so many of our alumni athletes using and enjoying the product, it was a compelling reason to formalize that relationship,” said McKenzie. Since 2016, InnerVoice has posted athlete-written essays to their site, focusing on the challenges that athletes go through on a day-to-day basis, like anxiety, injury management, and recovery. It is these same challenges that iKOR’s products can assist with. For that matter, Robichaud believes that the landscape for hemp derived CBD products will change in the near future, likening it to the wave of energy bars which now commandeer whole aisles of retail stores like Whole Foods. “I believe athletes of all levels will be able to experience the benefits and appreciate how hemp derived CBD can play a role in their ongoing training and racing,” he said, adding that the athlete community are educated consumers who take time to research products, and seek out testimonials and stories from trusted colleagues and friends. 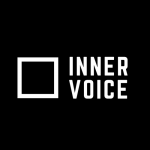 InnerVoice will work with iKOR athletes in various formats, including written features and podcast interviews.